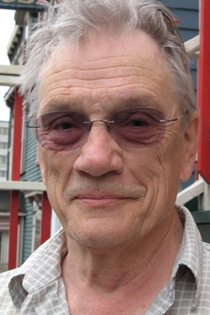 George Bowering taught English at Simon Fraser University from 1972 until his retirement in 2001. Canada's first Poet Laureate, he is an Officer of both the Order of Canada and the Order of British Columbia. 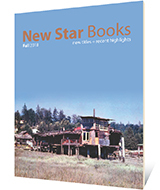 He was one of the founders of the poetry publication Tish, served as and has received two Governor General's awards: the first, for poetry, in 1969 for The Gangs of Kosmos and Rocky Mountain Foot and the second, in 1980, for Burning Water, reissued by New Star in 2007. Bowering is well–known for his love of baseball, about which he has also written. He is the author of nine novels, five books of short stories, and numerous volumes of poetry, including Autobiology (New Star, 1972). Bowering has said he writes about history because it is "so damned interesting." In September, he trekked to New York to watch the Yankees play their final series at Yankee Stadium. Listen to George Bowering sit down with George Stanley in our first Happy Hour Symposium podcast here. Watch Bowering read from The World, I Guess below.